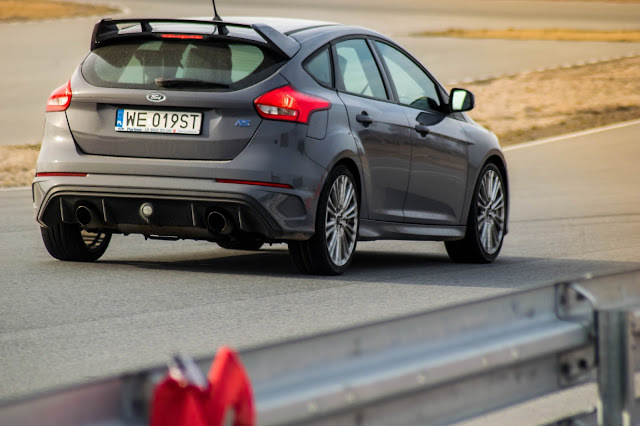 Ford Focus RS is one of the most powerful hot hatches in the market. It features an upgraded version of the 2,3-litre EcoBoost engine from the Ford Mustang. With 350 PS it can accelerate 0-100 in 4,7 seconds. The RS has a new, innovative all-wheel drive system allowing to channel up to 70% of the torque to the rear wheels. In combination with the fancy "Drift Mode" on, Focus makes it relatively easy to drift, as controlled by the car's electronics.